If you’re an escaped convict and wanted criminal in hiding, you should probably make sure that none of your family members have a lack of understanding about social media which might lead them to reveal your location. Mexican drug lord Joaquín ‘El Chapo’ Guzmán is currently on the run from the law and it looks as though he may be holed up in Costa Rica after his son appeared to accidentally tell the world his dad’s whereabouts. Jesus Alfredo Guzmán Salazar tweeted a photo of himself and his father eating at a restaurant, but apparently he forgot about Twitter’s location function which automatically tags where an image is taken. Oops! El Chapo’s 29-year-old son frequently writes about his father on social media but may have gone one step too far with the post on Monday, which was accompanied by the caption, “August here, you already know with whom”. The accompanying image shows Salazar eating at a table with two other men who have their faces obscured by cartoon emoticons. The man on his left, however, certainly bears a very strong resemblance to his father, the notorious drug lord who escaped from Mexico’s Altiplano prison in July by digging an elaborate mile-long tunnel. 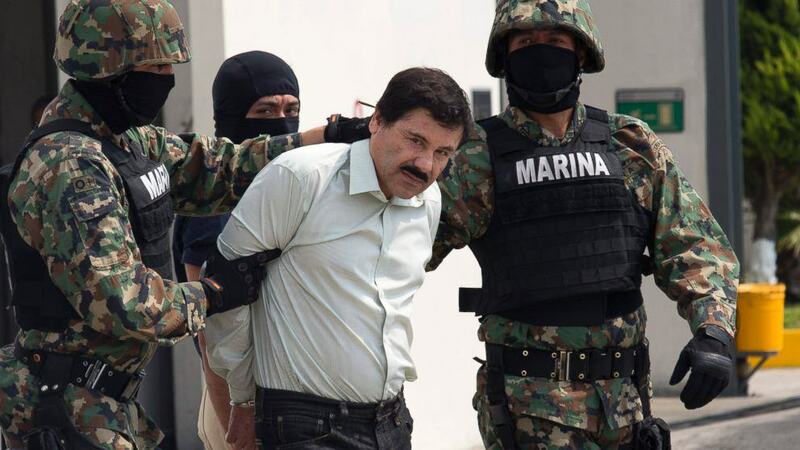 Guzmán was the leader of the Sinaloa cartel which is known for smuggling large amounts of illegal drugs into the U.S., and he is widely thought to be the world’s wealthiest and most powerful drug trafficker. According to local media, Costa Rica’s Judicial Police have announced they are now investigating the tweet. We’ve seen some Twitter posts backfire spectacularly in our time but, if this mistake leads to El Chapo’s capture, it’d probably rank as the best social media fail ever!